Jeremy Bolt är en producent. Född i Kampala. Han är känd för bland annat Resident Evil: Apocalypse (2004), Pandorum (2009), Death Race (2008), Pompeii (2014) och Resident Evil (2002). Vad du tycker om Jeremy Bolt? Starta en diskussion om Jeremy Bolt med dina vänner på Facebook eller Twitter! Jeremy Bolt is a British film producer. 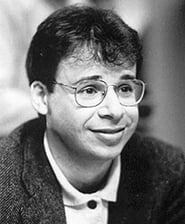 Since creating Impact Pictures with Paul W. S. Anderson in 1992, producer Jeremy Bolt has produced the majority of Anderson's movies. Their first collaboration, 1994's Shopping starring Jude Law, was a film about joyriding and ram-raiding British youth that revved up Bolt's career and established his love of cars and death defying races. Having attracted interest from Hollywood, Bolt produced big budget films such as Event Horizon and Soldier. 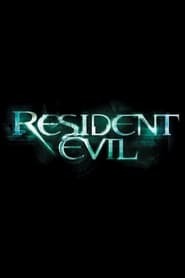 2002's Resident Evil was the first movie under Impact Pictures' joint venture deal with Germany's leading independent distributor, Constantin Film, going on to gross over $100M worldwide. Under a joint venture with Constantin, Bolt has also produced 2004's Resident Evil: Apocalypse for Sony Screen Gems, the psychological horror The Dark, teen actioner DOA: Dead or Alive, an adaptation of Tecmo's best-selling video game franchise, and the third movie in the Resident Evil franchise, 2007's Resident Evil: Extinction that debuted in the #1 US box office position and grossed $150M worldwide.